I am currently putting lots of eyeshadows to the test, and I thought I would let you in as to what is going on trail. I have bought all of these over the last month, and I finally managed to find some time to take some photos so I can finally start using them! First up, I wanted this palette from Colourpop ever since I set my sights on it. Being on their mailing list is proving to be dangerous for my bank account, as I always want everything that they email me! It comes from their collaborated range with Kerruche, and they have created a collection called Fem Rosa. 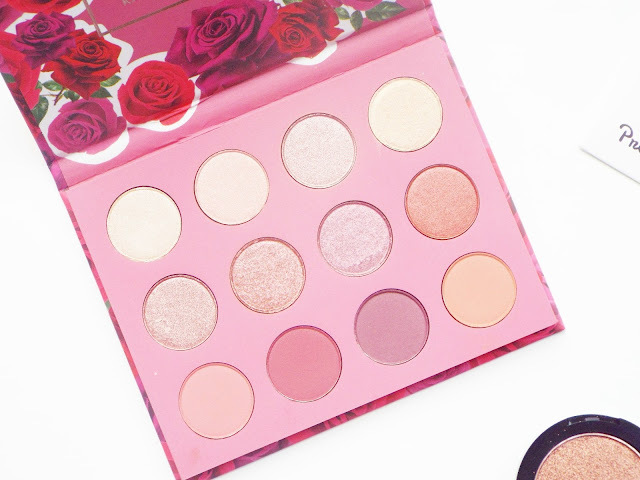 It consists of a few different products, but the she palette was what I had my eyes on all along. This was $16 and I am super happy I managed to get it, as it sold out very quickly. It was smaller than I anticipated, but this in fact will be perfect for travelling instead of heaving my beloved MAC and Morphe palettes around with me. It contains a wide array of shades both matte and shimmer, and I cannot wait to now start putting it to the test. I have heard absolutely nothing at all on the beauty market about these Morphe pressed pigments landing in the UK. For £6 I thought I would take a risk, and order three. I picked up rodeo drive, 5 star luxury and socially broken. To no surprise of my own, they are all gold shimmer shades. 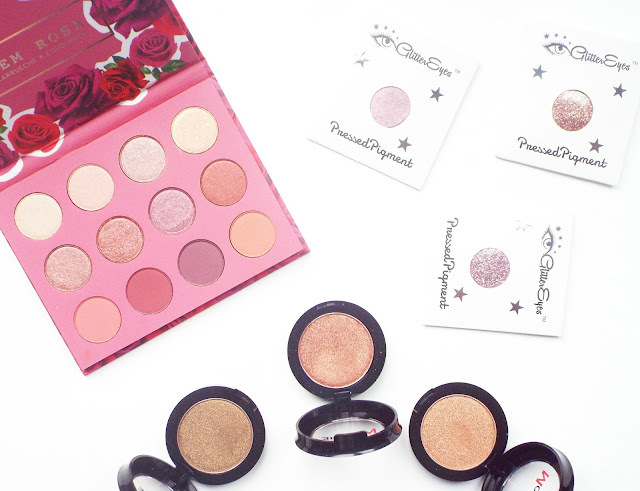 However, they are all different with some being darker than others, and one has a rose gold undertone. I have had a little swatch of these and they do look fantastic. I am hoping these are a great one swipe shade, with little fuss or attention needed. I saw some bloggers instagramming looks using Glitter Eyes products. I had never heard of this brand before, but their website instantly drew me. 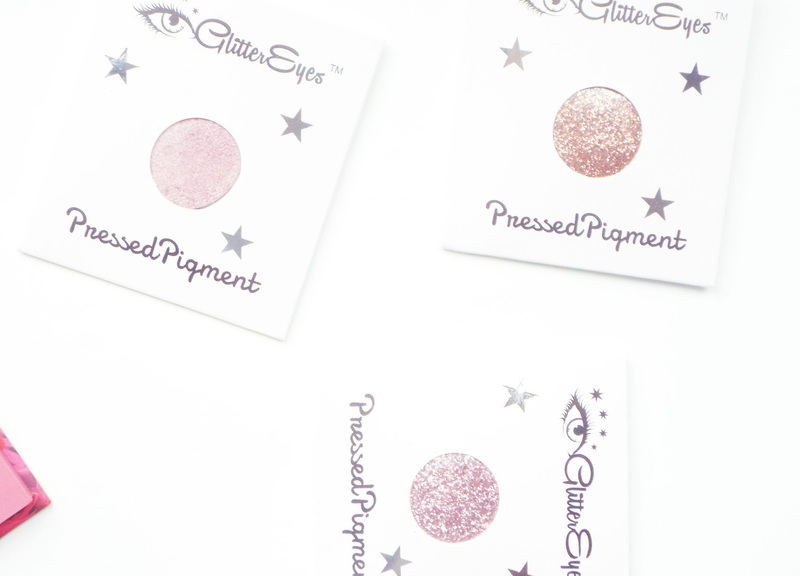 They have such a huge range of pigments, loose glitters and pressed glitters. I decided to go with the Rose Gold Trio bundle as I loved all three shades. They look amazing, I swatched these as soon as they arrived and they are full on glitter. I am hoping these look as great on my eyes, as they did on my first swatch. 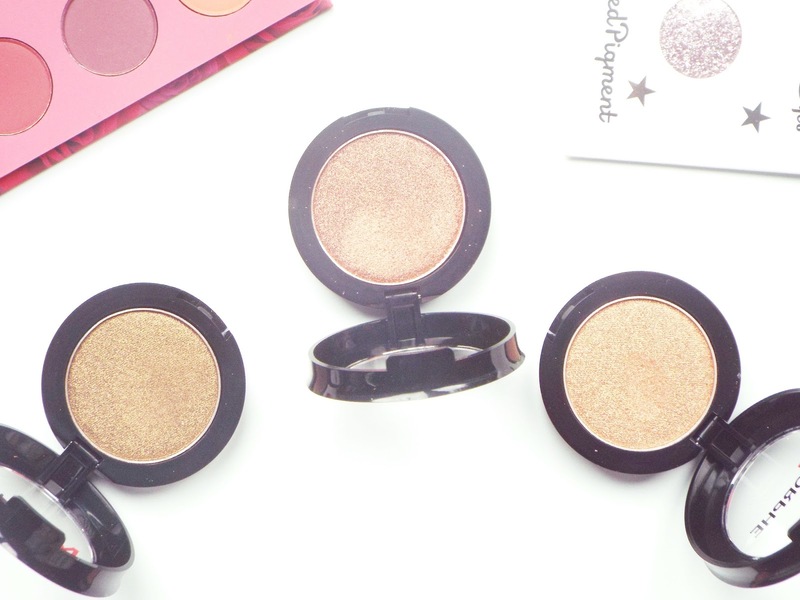 These are going to be great for a night out when I want a total glittery sparkly eye look.